July 13, 2018 4:29 pm. Victorian jockey Jamie Mott is on target to reach a career-best tally of winners in a season. Achieving Group One success remains a driving ambition for jockey Jamie Mott who is on track to finish this season with a career-best tally of winners. Mott has 106 winners so far in 2017-18 and can pass his season best tally, set a decade ago, if he can ride another seven winners this month. “It’s a realistic goal,” Mott said. “I’ve got just over two weeks of the season left and I’ve got a good few rides coming up, so I’m hoping I can go past that number. Mott is keen to secure more opportunities on the big stage in town, having ridden eight metropolitan winners this season. “I really want to win a Group One,” he said. 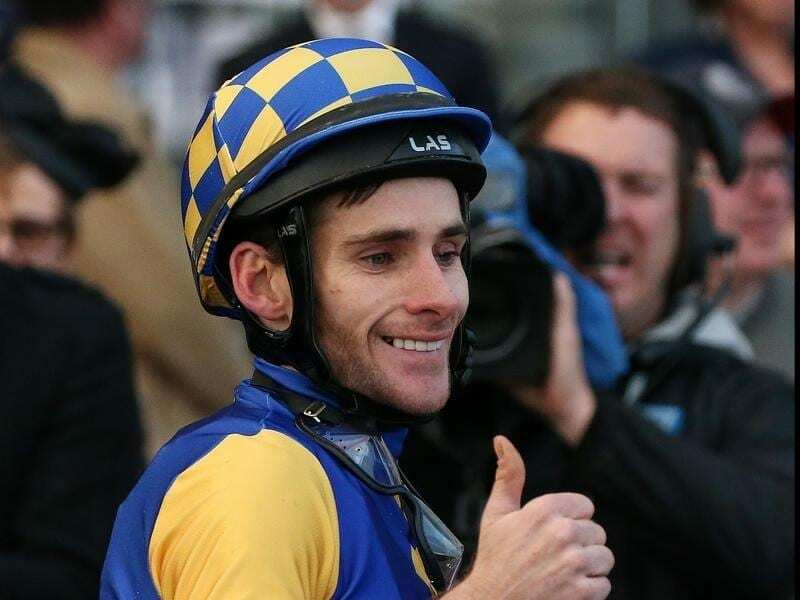 One horse potentially on a path to a Group One race in the Memsie Stakes early in the spring is the Dan McCarthy-trained Ashlor who Mott rides in Saturday’s Group Three Sir John Monash Stakes (1100m) at Caulfield. Mott rode Ashlor last start in a 1200m-benchmark race at Caulfield where he carried 63kg to an impressive win. “It was a great effort and he really took me by surprise how he quickened with that weight,” Mott said. Mott said Ashlor switched off once he sprinted to the front last start so he is again hoping to get cover from barrier two in Saturday’s field of eight. “I reckon if I can just camp off them and have something to chase down he’ll definitely be around the mark,” he said. Mott is booked to ride Blondie in the Ladbrokes Back Yourself Handicap while he believes talented two-year-old Humma Humma can make her mark again in the Ladbrokes.com.au Handicap (1200m). Mott has had plenty to do with the John McArdle-trained Humma Humma who was second in a stakes race in Adelaide on debut before resuming with an impressive win at Sandown last week. “She was always going to improve with the first-up run through fitness, so it was good to see her win so well at Sandown,” Mott said. “You’d think with any improvement she’s going to be a nice chance again.